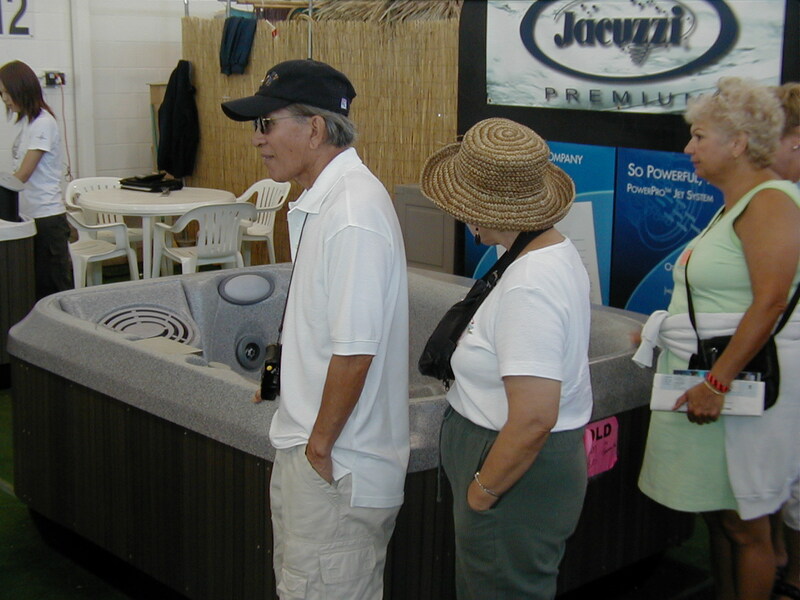 Flat screen monitors on display, showing some kind of sports event. 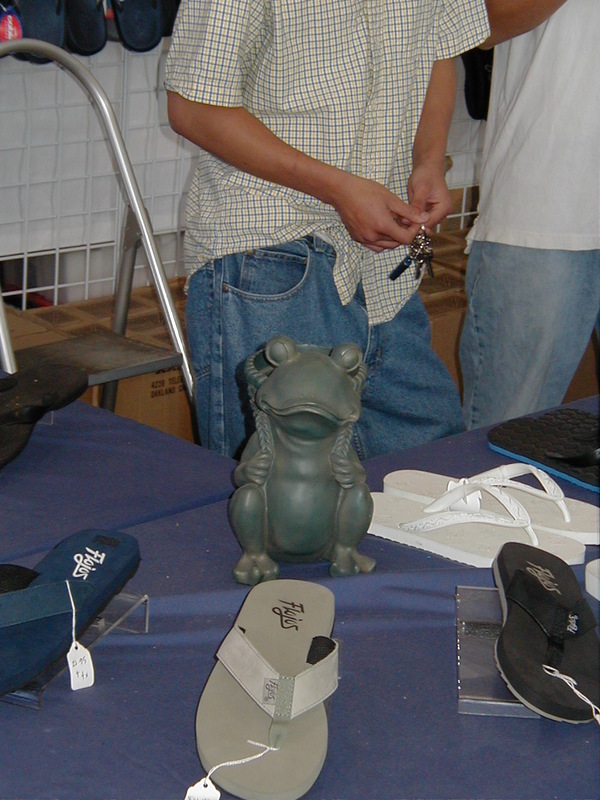 1450-06 high-res image, 1450-07 high-res image. 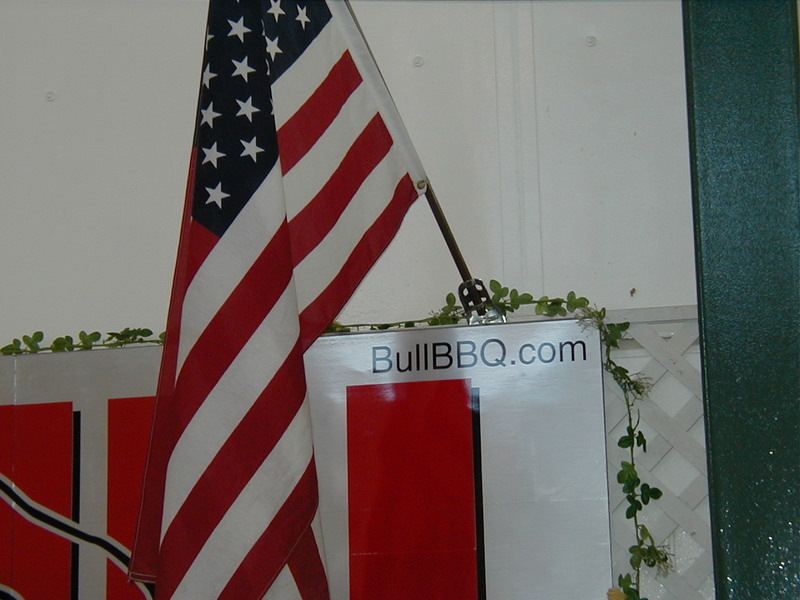 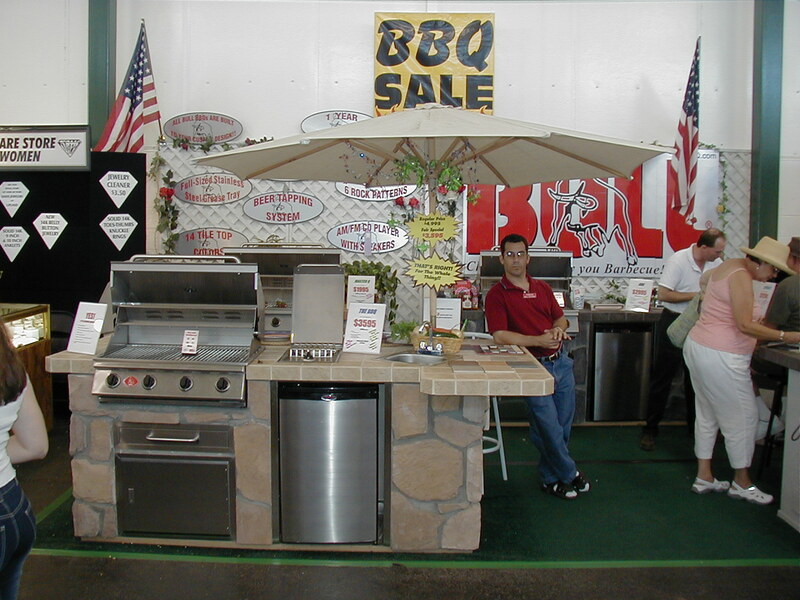 Barbecues at the custom bbq place - Bull Outdoor Products. 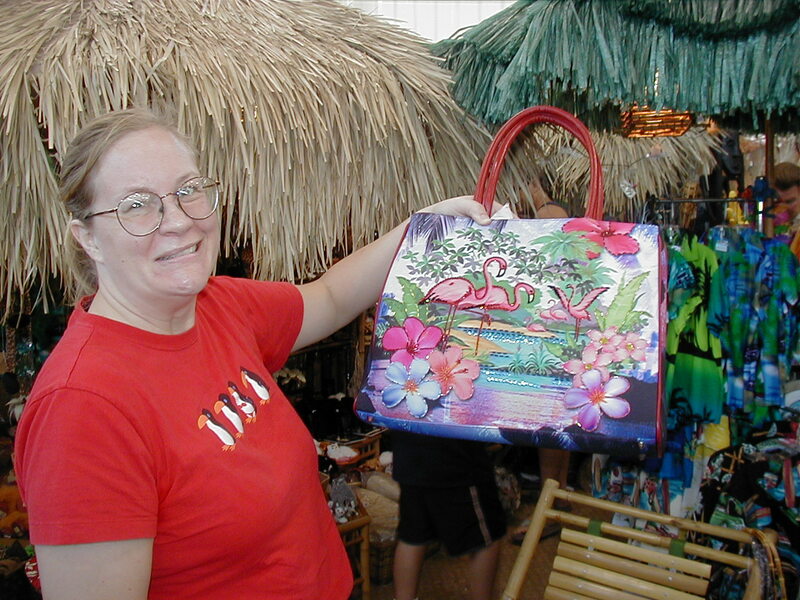 1450-08 high-res image, 1450-09 high-res image. 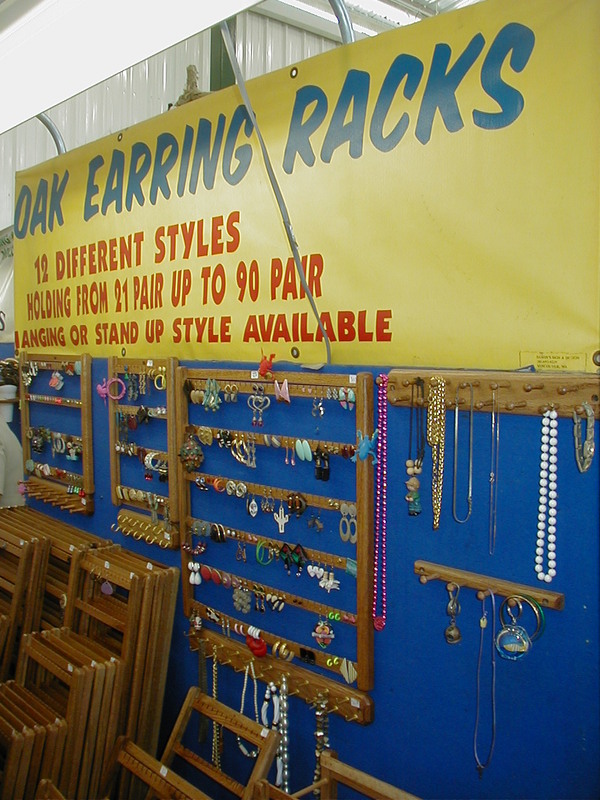 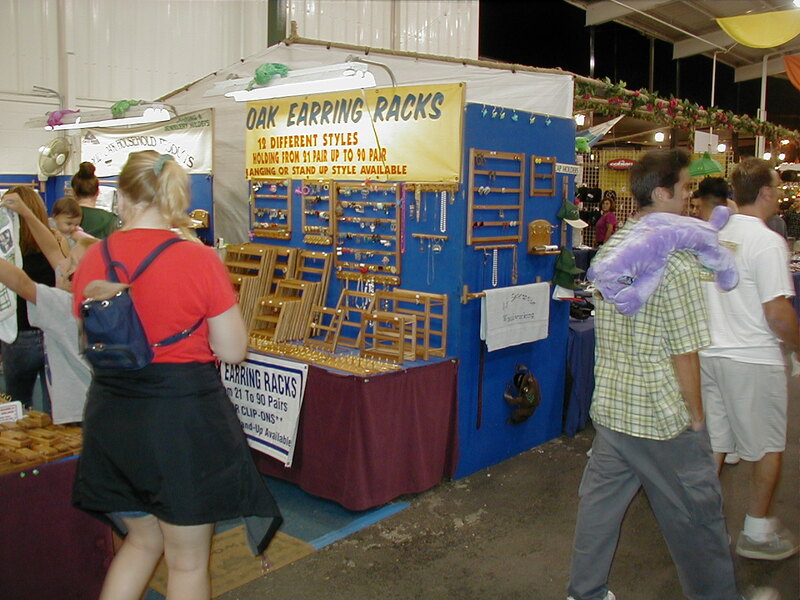 Earring racks. 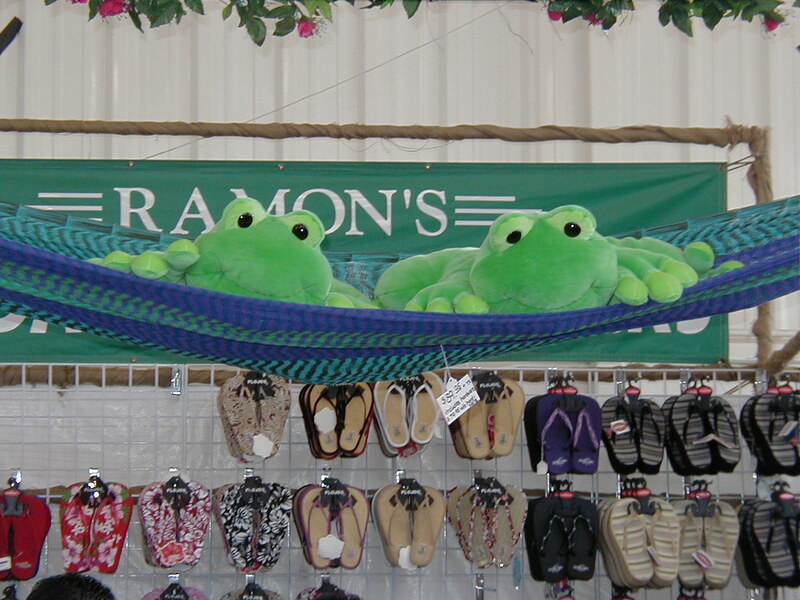 We bought one of the large ones. 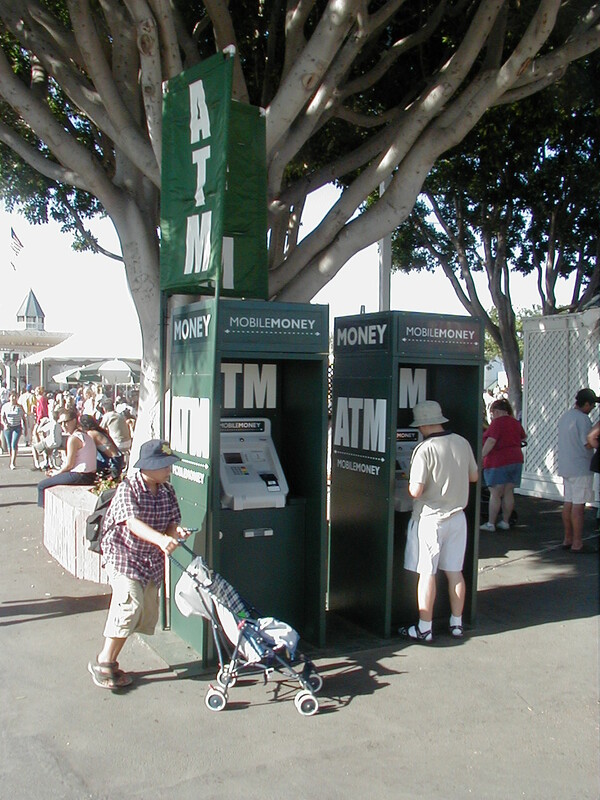 1450-10 high-res image, 1450-11 high-res image, 1450-12 high-res image, 1450-13 high-res image, 1450-14 high-res image. 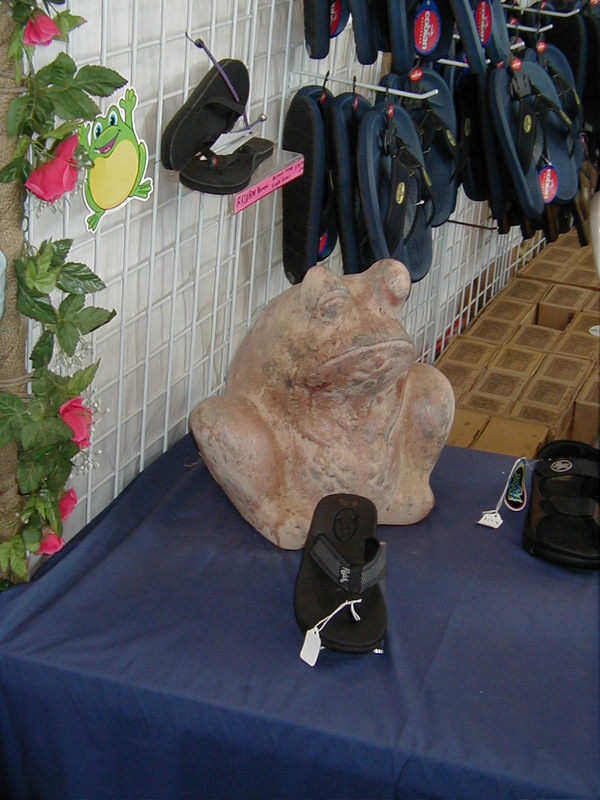 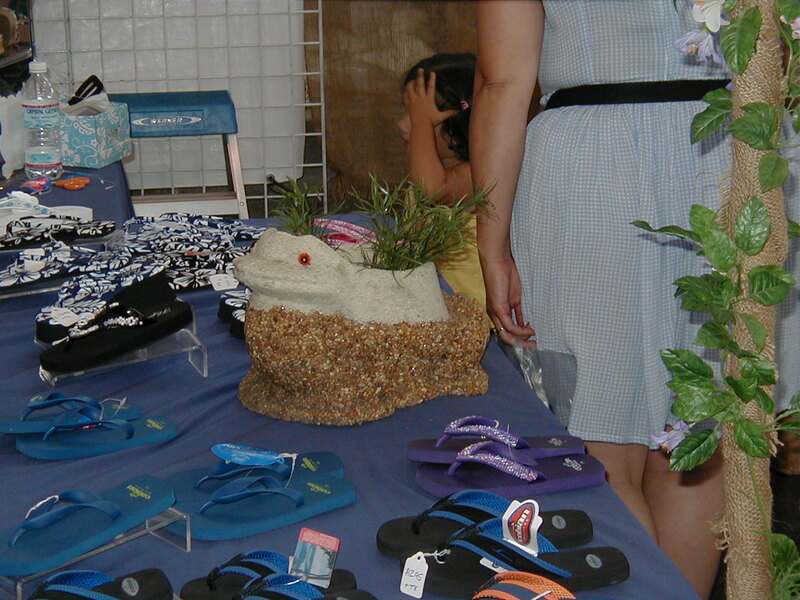 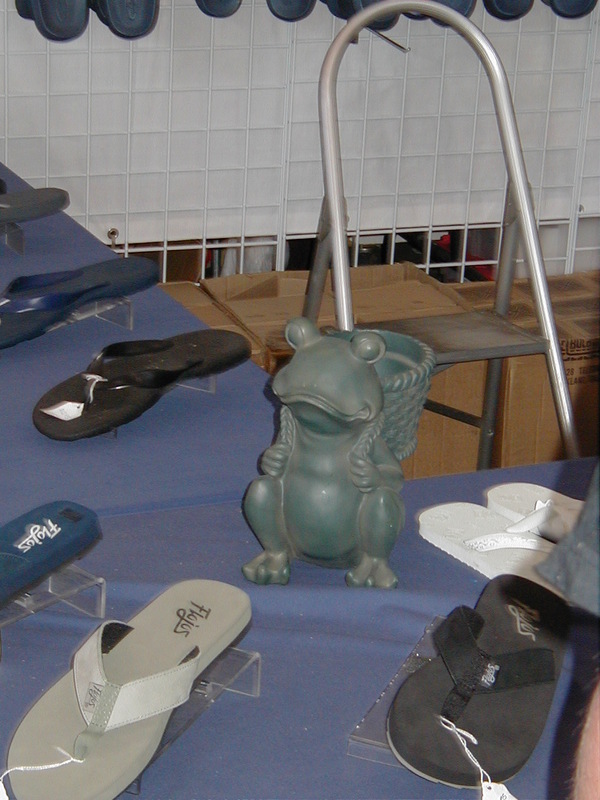 Frogs on display at flip-flop (slippers) booth.